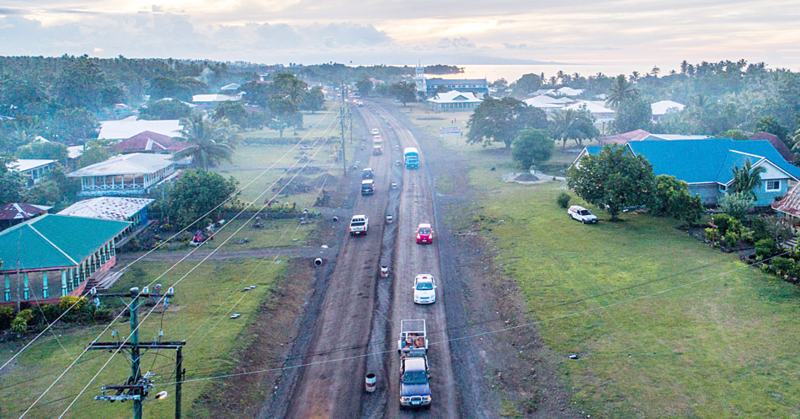 The Saletoga Sands Resort is raising the bar in its strive to become Samoa’s most environmentally responsible resort. Located on the south coast of Upolu Island, the resort will become plastic-free next month and has been recycling most of its other waste since its establishment in 2014. Its owners, New Zealand couple Gavin and Lou Brightwell, say they have recycled cardboards, juice bottles, scrap timber, waste food and scrap metal which is taken back to Apia. The recent purchase of a glass bottle crusher is the latest arsenal in their recycling machinery. 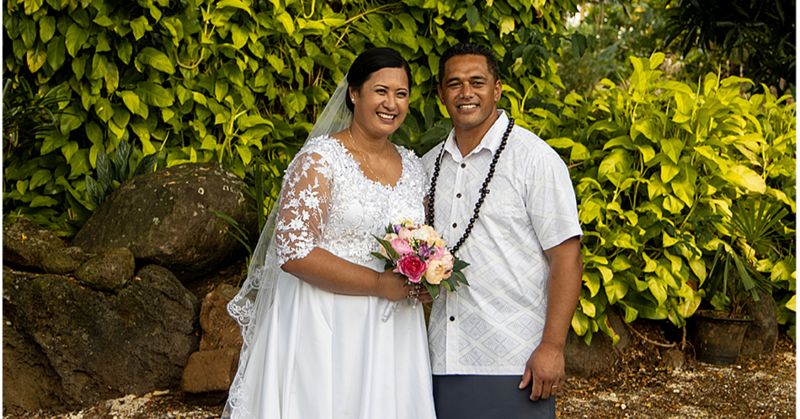 “In fact, we had already bought a glass crusher, it is the first in Samoa, it crushes the glass back to sand. And we have many uses for the glass sand...because it is so fine like sand. But we are using it with our building, we are using it as filters for our pool – our two pools,” Gavin said in an interview with Samoa Observer. The glass bottle crusher is currently used to crush empty wine bottles at the resort, though Gavin indicated that locals are also given some to store coconut oil, which are then sold to make income for their families. The recent commissioning of four ultraviolet (U.V. 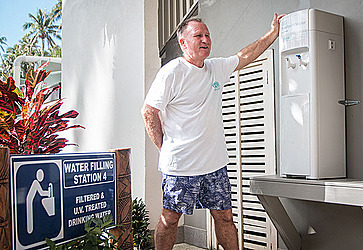 )-treated water-filling stations at the resort – which guests can use to fill their bottle jars – will lead to to the resort becoming plastic-free next month. Speaking of the treated water-filling stations, Gavin said their guests embraced the move to glass jars away from plastic water bottles. While the move to promote environmental and ethical practices at the resort could impact on their bottom-line, Gavin and Lou said they were still able to break-even with these new initiatives. 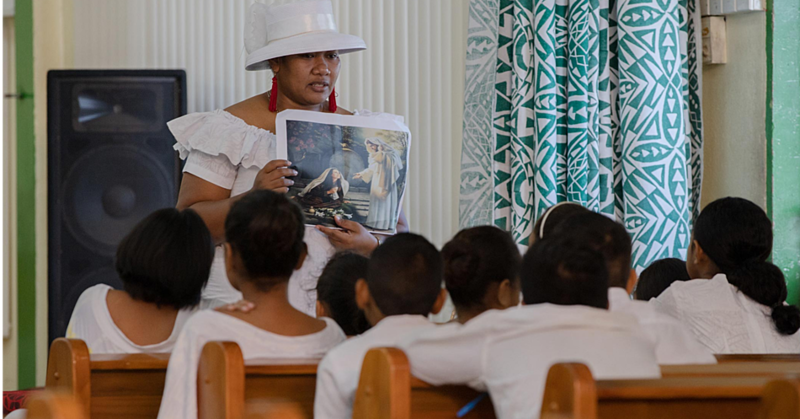 The Samoan Government last month announced that it will ban the use of single-use plastic bags and straws in January 2019 and gradually widen it to include plastic and Styrofoam containers and cups. Commenting on the ban, Gavin said their initiatives will compliment and support the Government policy.